The Ghostbusters reboot has spawned two camps: those in favor of the movie, and those who vehemently oppose everything it stands for. The latter group finds the gender switch of its titular crew offensive on both a cellular and nostalgic level, as if this forthcoming flick will somehow make their Blu-rays of the 1984 original spontaneously combust. 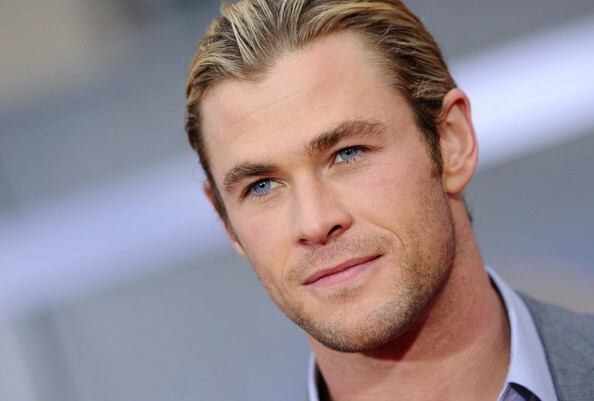 Nevertheless, a part of that shake up involves the ‘busters new receptionist, who won’t be an updated version of Annie Potts’ laconic Janine Melnitz, but will instead be played by Chris Hemsworth. From what little we know thus far, his character of Kevin is less of a six pack-laden answering machine, and more of an intern whose duties stretch farther than simply taking messages. Quite a lot farther by the looks of this first set image (seen below), which makes a Ghostbusters internship look like the most appealing way to not get paid in the world. 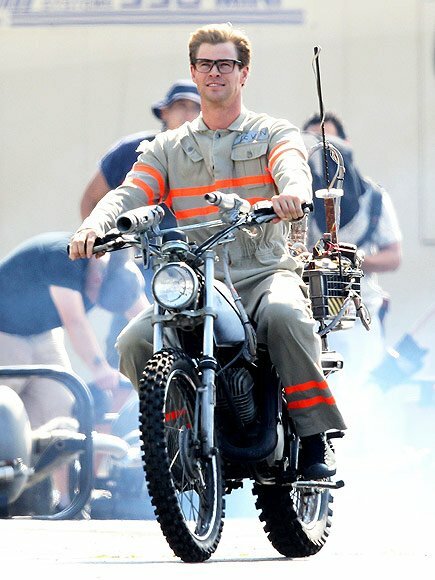 Kitted out in the official uniform with a pair of thick-rimmed glasses balanced on his nose, Hemsworth rides one of the team’s vehicles, the ECTO-2. The role of Kevin was originally much smaller in the first script, which saw Hemsworth turn down the part unless there were room for expansion. Writers Paul Feig and Katie Dippold then rewrote it specifically for him, which is likely why the character is branching out into the world alongside his Ghostbuster bosses. Wiig and McCarthy play a pair of unheralded authors who write a book positing that ghosts are real. Flash forward a few years and Wiig lands a prestigious teaching position at Columbia U. Which is pretty sweet, until her book resurfaces and she is laughed out of academia. Wiig reunites with McCarthy and the other two proton pack-packing phantom wranglers, and she gets some sweet revenge when ghosts invade Manhattan and she and her team have to save the world.